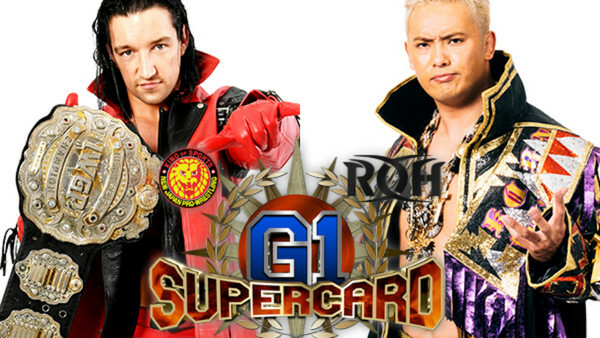 New Japan Pro Wrestling and Ring Of Honor have finally released the full card for their 6 April G1 Supercard event at Madison Square Garden, and it's huge. Highlights include IWGP Heavyweight Champion Jay White defending his strap against Kazuchika Okada, whose epic New Japan Cup run came to an end when he defeated SANADA in the final yesterday (24 March), securing his shot at redemption against a man he is 0-2 against in singles competition. Elsewhere, ROH World Champion Jay Lethal must face Marty Scurll and Matt Taven in a three-way ladder match. IWGP Intercontinental Champion Tetsuya Naito faces Kota Ibushi in a rematch of their NJ Cup first-rounder, while Zack Sabre Jr. faces the legendary Hiroshi Tanahashi. 30-Person Honor Rumble: Jushin Liger + 29 others TBC.